You must notify us at least 14 days or more before the start date to get a full refund minus a $50 administration fee. No refunds are issued less than 14 days before start date of classes. By discretion of NLI based on circumstances, we can issue you credit towards a future course instead of a refund. This is not guaranteed, but we will try our best to work with you and your situation. If a course you are registered with is cancelled by Nordic Languages Initiative for any reason, a full refund will be issued or credit towards a future course can be made. Missed classes by students are non-refundable and non-transferable. Special consideration can be made if you wish to credit a future session by the discretion of a Nordic Languages Initiative staff member. The schedule of classes are subject to change and we will notify you if this occurs. 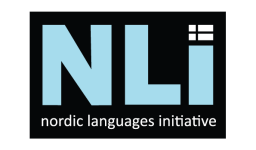 Nordic Languages Initiative is a non-accredited language school which is not connected to the University of Toronto or its affiliates. Our classes take place at the University of Toronto campus as an external organization. We teach Nordic languages (Swedish, Norwegian, Danish, Finnish or Icelandic) with native speakers and do not issue certification, accreditation or academic credit towards any university, college or educational institution. We only allow persons over 18 years of age to register for our classes. Any questions, please contact us at info@nordiclanguagesinitiative.com .